Catherine Birndorf, MD is Clinical Associate Professor of Psychiatry and Obstetrics/Gynecology and founding director of the Payne Whitney Women’s Program at The New York Presbyterian Hospital – Weill Cornell Medical Center in Manhattan. She is also the founder of the Women’s Mental Health Consortium, a New York area network of women’s mental health clinicians and researchers. Dr. Birndorf’s area of psychiatric expertise is in reproductive mental health, helping women with emotional distress during times of hormonal change, from menses to menopause. She specializes in treating women before, during and after pregnancy, as well as at other times of transition in their lives. A Smith College graduate, Dr. Birndorf attended Brown University Medical School and did her psychiatry residency at New York Presbyterian Hospital (Cornell), serving as Chief Resident. She has received numerous awards and published a number of journal articles and book chapters and actively continues both writing and teaching about women’s mental health and psychiatry. For 10 years, Dr. Birndorf was a regular mental health columnist for SELF Magazine, and has appeared on television programs including The Today’s Show, Good Morning America, CBS Evening News, MSNBC and CNN. She also lectures internationally, educating and advocating for women, and serves on boards of several organizations including the Postpartum Support International. 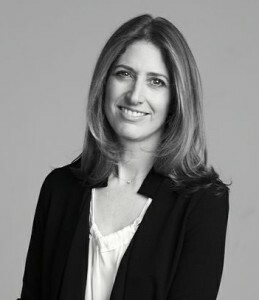 With Lucy Danziger, previous Editor-in-Chief at SELF Magazine, she co-authored a self-help book entitled The Nine Rooms of Happiness, published March 2010. She is currently co-writing a new book called MotherMind about the emotional side of pregnancy and postpartum to be published by Simon & Schuster in late 2017. Her newest project is starting a NYC treatment center for pregnant and postpartum women called The Motherhood Center, which opened in February 2017.